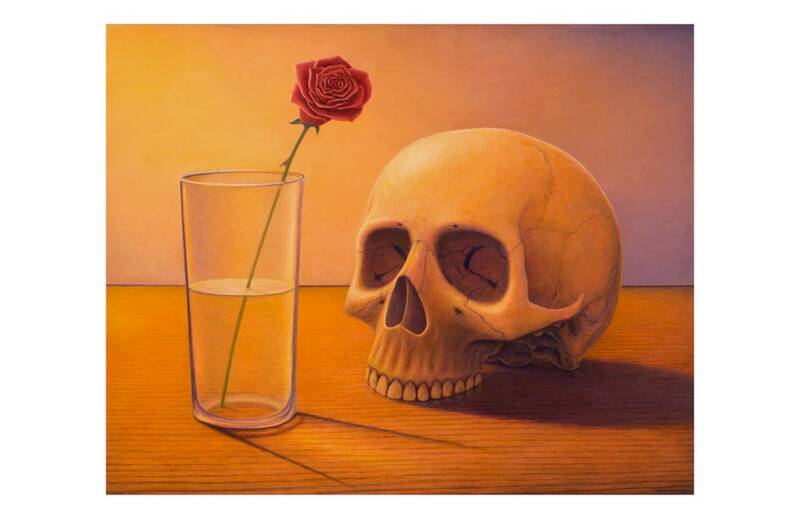 Many artists eventually paint a skull. "To be or not to be" or somewhere in the middle. Most paint the skull in blue or in dark shadows. This lovely fellow is warm, friendly, almost glowing bathed in the soft light, smiling at the rose in the half full glass; or is the glass half empty? That is the question.